The Cliffs, Guernsey. Photographic Print 1999. This charts the romantic search for a mythical plant which was purported to have grown up to 20ft high in Guernsey. Having thought I had discovered it on a cliff path, I posed in the middle of it, both pygmy and Thumbelina. 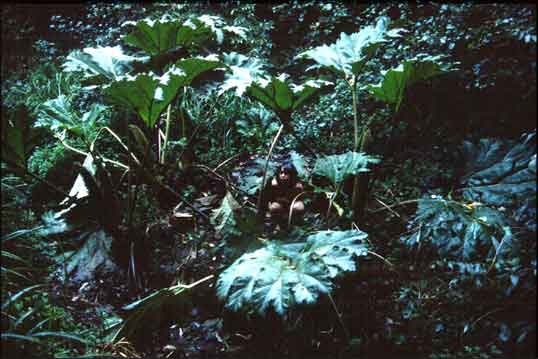 Further research revealed it was a giant rhubarb plant.